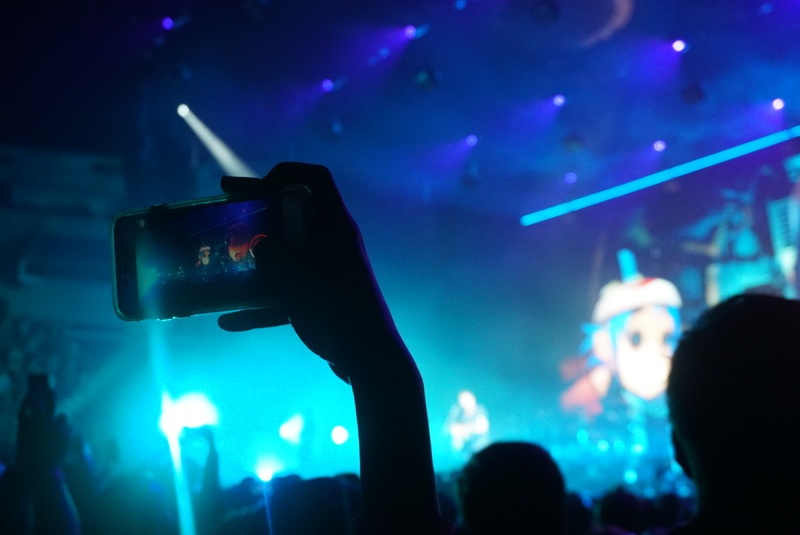 With summertime in full swing and school out of session, it is the prime time to attend a concert you have been dying to see. The announcement of your favorite singer releasing an album is literally music to your ears, so why not treat yourself to seeing them live? Albums released in 2017 and early 2018 like Taylor Swift’s “Reputation” and Post Malone’s “Beerbongs and Bentleys’” are the playlist of the summer, and Atlanta is lucky enough to have the artists perform live. With so many artists visiting Atlanta, you may be wondering which one is worth spending your money on. Whether you are a rock lover, rap enthusiast, or pop fanatic, these top anticipated concerts of the summer will leave you starstruck. Dua Lipa has been ruling the pop charts for weeks with her emotional rhymes about being independent. When you turn on 96.1, you can almost guarantee one of her catchy, yet relatable songs, like “IDGAF” and “New Rules” will be playin.” Although her album “Dua Lipa” released in June 2017, Lipa has gained a substantial amount of fame and a growing fan base the past year, making this concert one you do not want to miss. Lipa rocked the stage at Music Midtown 2017, and we know she will give an unforgettable performance when she performs in Atlanta again on the Roxy Stage at Suntrust Park on June 9. Let your throwback jam session come to life when Jesse McCartney performs at Buckhead Theatre on June 15. Whether you are fresh out of high school or preparing to graduate college, the song “Beautiful Soul” is basically embedded in your mind. Seeing your heartthrob crush you had when you were eight in concert is the cherry on top of completing your childhood dreams. However, while many know and love McCartney’s early music, he has released a few songs in 2018, so make sure to do a quick Spotify session before attending. With his new album Beerbongs and Bentleys’, Post Malone has taken the rap world by storm. With 25 songs on Billboard’s Hot 100 chart and four Top 10 Hits this past year, the rap and pop radio stations of Atlanta are always bumping Malone’s music. You can hear it in person at Lakewood Amphitheatre, the outdoor venue ideal for summer concerts on June 10. Logic is making profound changes in the rap music industry. Proving self-harm and suicide are ongoing problems that need to be addressed within his song 1-800-273-8255, Logic has reached out to a wide-variety of groups. Logic has always rapped about serious issues involving inequality, but this time, he struck gold with a relatable, emotional song that effects a substantial amount of his listeners. At his concert on June 20, there won’t be a dry eye in the venue. If you are a country music lover, this concert is the one for you. From Jason Aldean to Hootie and the Blowfish, on July 21 Suntrust Park will be full of cowboy boots and the sweet sounds of southern twang. With Aldean and Luke Combs topping the country charts, Lauren Alaina a runner-up winner of American Idol, and a revival of Hootie and the Blowfish, this once-in-a-lifetime event is a no-brainer. This pop princess is headed to Mercedes Benz Stadium for her Reputation tour. From her beginning as a country-pop crossover, Taylor Swift has changed her sound significantly and made a name for herself with her film-like music videos. Swift never fails to surprise her audience with an incredible set, so this concert will be unforgettable. Whether you adore her or are going with your girlfriend because you are forced to, this concert is sure to bring out the Swiftie in you. Not to mention, she has brought many suprise musical guests on stage, including Selena Gomez and Shawn Mendes. The queen and king themselves, Beyoncé and Jay-Z, will also be performing at Mercedes Benz Stadium. While the August 25 concert is already sold out, the August 26 date still has spots open. The dynamic musical duo continues to leave audiences in awe with their charming relationship on stage. This is also Z and B’s second joint concert, a sequel to the original “On the Run” tour, including songs from their past, and new albums. With so many phenomenal hits between the couple, this is one you won’t want to miss.